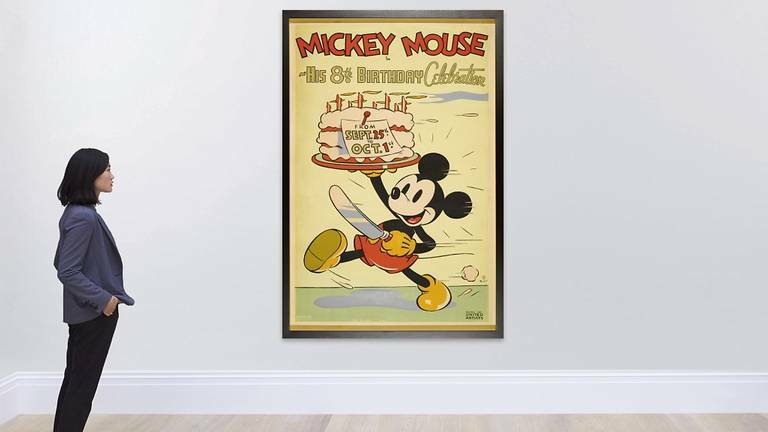 Who would have thought back in the day that simple Mickey Mouse posters would one day sell for thousands of dollars? Well, they certainly do so now at an auction that coincides with the 90th anniversary of the well-loved cartoon character’s first film appearance dating back more than eight decades ago. The seven posters from the 1930s and 1940s were displayed on Friday at a commemorative London exhibit organized by Disney. The rare posters came from England, France, Belgium. At least two of the posters are also the only known surviving examples, while there are less than five known posters of the others. Such movie posters were never really anticipated back in the day to be of great use say 80 to 90 years down the line. For one, they tend to be reused several times at cinemas. Being made of paper, it is so easy for most of them to eventually fall apart. Many were simply just thrown away, that is why it is amazing that the remaining few stood the test of time and can be part of an exhibit now, and can even be sold for whopping hundreds of thousands now. Congratulations !!! You've copied & Pasted THE MOST BORING STORY ON EARTH ! !